Flu Shot, just like any other vaccines, may produce side effects. The swine flu vaccine side effects may be mild, but may still cause considerable discomfort to the patient. Swine flu vaccine or H1N1 vaccine has been on the rise and look out during the swine flu pandemic in the year 2009. 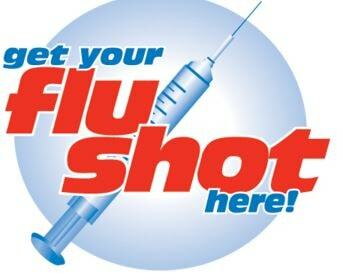 However, seasonal flu vaccine has already been popular before the swine flu vaccine. Flu Shot is generally similar to seasonal flu vaccine in terms of production, the only difference is swine flu may have specific virus to prevent, which is the H1N1 virus. H1N1 virus is also similar to seasonal flu virus. In fact, seasonal flu vaccine also include H1N1 virus in the three strains that it prevents; however, it is not specifically geared towards the pandemic flu that happened in the past 3 years. Although vaccine may result in Flu Shot Side Effects, the potential benefit of the vaccine greatly outweighs the risk of the side effects. In fact, the disease that swine flu may cause may be more serious and severe than the swine flu vaccine side effects. The most common mild side effect of H1N1 vaccination is pain. Definitely, the tissue trauma that the person gets from the vaccine syringe will cause mild localized pain. The pain is due to the sensitization of the pain receptors as a result of break in the skin and tissues. The pain usually subsides after hours or days of vaccination. Children may be given analgesics to manage the pain. Adults may be able to tolerate the discomforts. The injection site may also feel tender and swollen after the vaccination. The break in the tissue integrity normally activates the inflammatory response leading to mild swelling. These swine flu vaccine side effects may be relieved using warm compress over the injection site. The inflammatory response also may produce redness over the injection site. This is only mild and may not cause significant discomforts. Bruising may also develop as a swine flu vaccine side effect. This may result from injection from non-expert health care providers. Bruising may be managed by cold compress over the area following the vaccination. However, it is important not to place cold or warm compress immediately after the vaccination because it may affect the absorption of the vaccine. Swine flu vaccine may cause allergic reaction. This is especially true for people who are allergic to eggs because eggs are used in the manufacture of the vaccine. Prior to vaccination, health care providers usually take a medical history including history of allergy to eggs. Those who are allergic to eggs may not receive the vaccine. The weakened virus in the vaccine may cause similar, but milder flu reactions in patients who received the vaccine. Body malaise may subside after a day and it can be managed by bed rest. Muscle pain is the most common systemic swine flu vaccine side effect, which usually subsides after a day. Muscle pain may also be apparent in other medication side effects such as side effects of Simvastatin. Fever may also be experienced just like any other vaccines. Fever may develop due to the presence of weakened virus in the vaccine, which the body detects as a possible infection; thereby producing fever as a normal reaction. Taking antipyretics usually relieve low grade fever. As presented, swine flu vaccine does not lead to serious and severe swine flu vaccine side effects. Vaccines are important to our health because they tend to prevent illnesses that may lead to more serious side effects. In conclusion, receiving vaccines is generally safe and may be more beneficial than not receiving one.